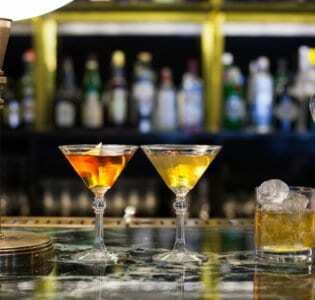 The latest of several speakeasy style bars to open in London, the Evans and Peel Detective Agency takes the concept and runs with it. 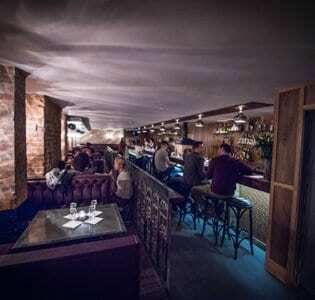 The latest of several speakeasy style bars to open in London, the Evans and Peel Detective Agency takes the concept and runs with it. 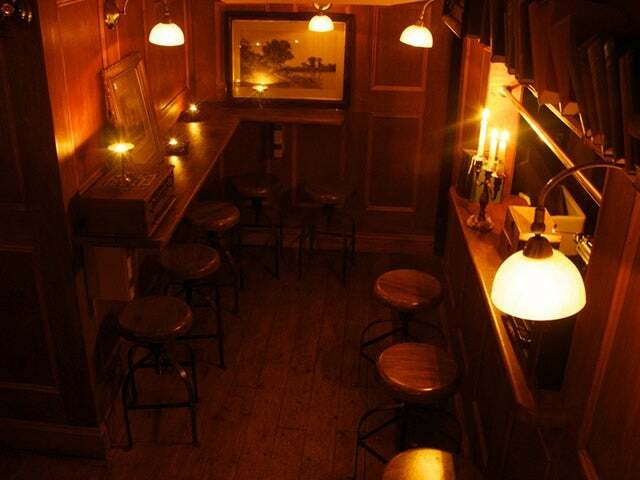 Hidden behind an anonymous black door on a nondescript stretch of the Earls Court Road, you’ll find an atmospheric, vaguely clandestine space, lit by candles and antique light fittings, with more than a whiff of Raymond Chandler about the place. The furniture has been carefully salvaged and 1920s music plays in the background, adding to the ambience. Cocktails are taken very seriously here and there are house infusions aplenty (including maple bacon bourbon); their Old Fashioneds are a particular strength. Wine bottles come swathed in brown paper and they even have an in-house smoker to give their sliders an extra kick. While the place is undeniably gimmicky it’s all done with charm, wit and attention to detail.